Home›Podcasts›Hard At Work›Hard At Work Episode #99: Why Are Kids So Stupid? 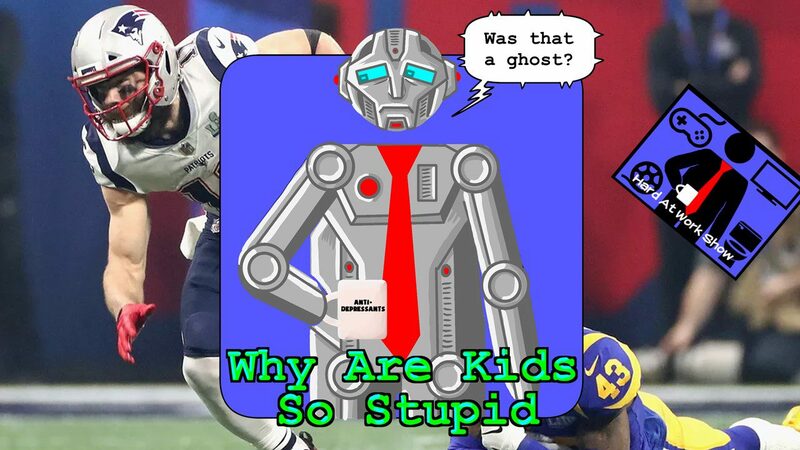 Hard At Work Episode #99: Why Are Kids So Stupid? On this week’s lunch break, the guys are a little scatterbrained as they prepare for their big 100th episode extravaganza. They talk about sad robots, “The Big Game”, and tell an epic tale involving Sweet Johnny G and wet cement. Nick also recounts the first issue of The Fantastic Four and spoiler alert… they’re monsters. Enjoy!